The future of the proposed k-8 school across from a toxic site is in question. The current plan is to build the school on a vacant lot across the street from the NuHart Plastics Superfund site, one of the most contaminated sites in New York state. NYC Councilmember Stephen Levin is holding a public meeting on Feb. 7, at the Dupont Senior Housing Center (80 Dupont St.) at 7 p.m. regarding the school and has for the past three years cited efforts to seek an alternative site for a new k-8 school in the North Greenpoint area. A petition from North Brooklyn Neighbors in opposition to the location of the future school at the corner of Franklin and Dupont streets has received over 6,600 signatures so far. 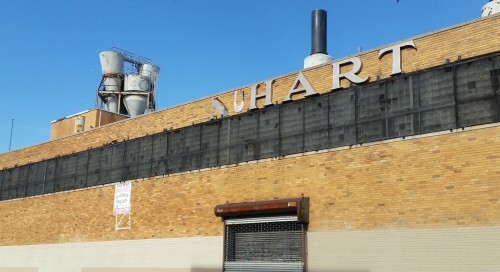 The NuHart Plastics building spewed toxic fumes into the neighborhood while producing vinyl sheeting from 1950 – 2004, during which time underground storage tanks of toxic chemicals leaked into the groundwater and soil. 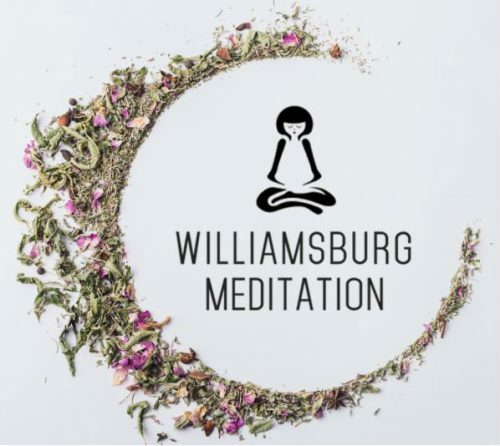 Today as much as 60,000 gallons of phthalates are underground at the site and the toxic plume has migrated west toward the Greenpoint Playground across the street. The deadline is today (11/19) to submit feedback to the Dept. 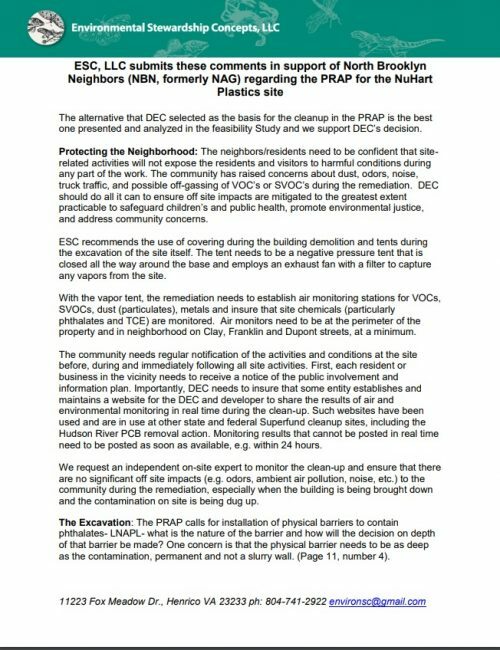 of Environmental Conservation on the proposed cleanup plan (PDF) of the Nuhart Plastics Superfund site. Demolition is scheduled to start next year on the building which sits on highly toxic land at the corner of Franklin and Dupont Streets, where the groundwater and soil are contaminated with a host of human carcinogens, such as phthalates and TCE. A letter with recommendations on the proposed cleanup plan addressed to the DEC from Environmental Stewardship Concepts, the technical advisor hired by the North Brooklyn Neighbors, addresses many issues including the need for pressurized tents during excavation to minimize the spread of harmful airborne volatile organic compounds. The deadline is Monday, Nov. 19, for you to send feedback to the Dept. 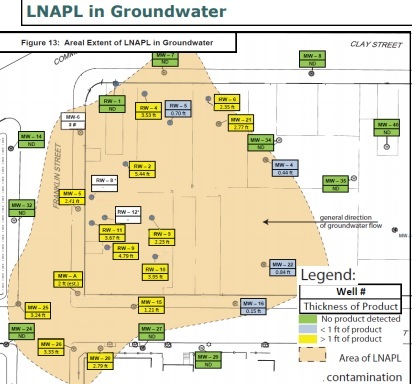 of Environmental Conservation regarding the proposed cleanup (PDF) of the former Nuhart Plastics manufacturing facility, a state Superfund site. 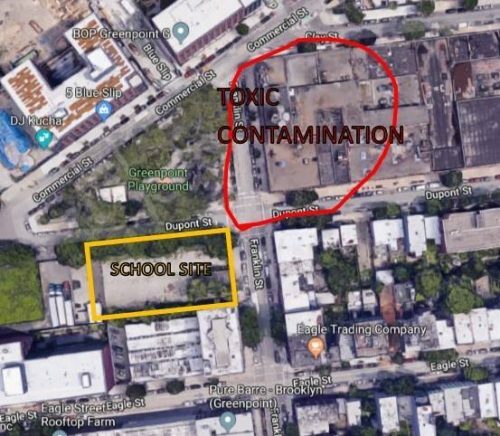 The soil and groundwater onsite are contaminated with the plastics softener phthalates and the cleaning solvent TCE, both human carcinogens, and a potential school is being discussed for an adjacent lot on Franklin Street. The neighbors/residents need to be confident that site-related activities will not expose the residents and visitors to harmful conditions during any part of the work. The community has raised concerns about dust, odors, noise, and possible off-gassing of VOC’s or SVOC’s during the remediation. 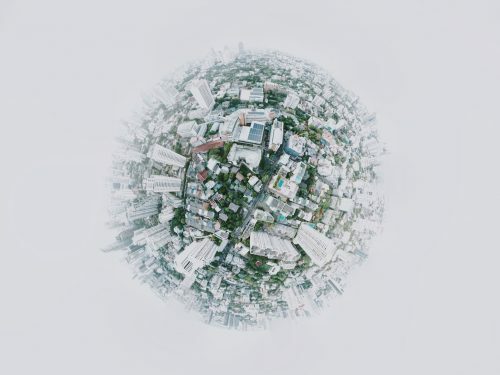 DEC should do all it can to ensure off site impacts are mitigated to the great extent practicable to safeguard public health and address community concerns. The community requests a website for the DEC and developer to share the results of air and environmental monitoring in real time during the clean-up. Such websites have been used and are in use at other cleanup sites, including the Hudson River PCB removal action. We request an independent on-site expert to monitor the clean up and ensure that there are no significant off site impacts (e.g. 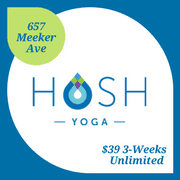 odors, ambient air pollution, noise, etc.) to the community during the remediation, especially when the building is being brought down and the contamination on site is being dug up. Next Thursday, November 8th, NYC Council Member Stephen Levin will hold a community meeting at the Dupont Senior Center (80 Dupont St.) for concerned parents to discuss the proposed site for Greenpoint’s newest K-8 school. 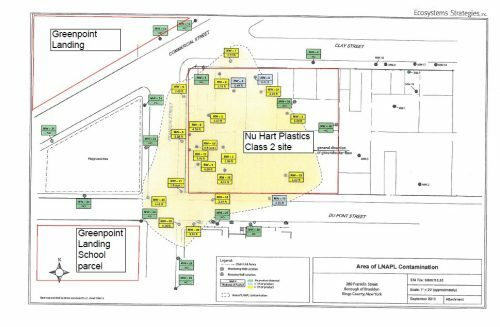 Despite opposition from community groups including North Brooklyn Neighbors (formerly NAG), the proposed location for the school, to be built by developers at Greenpoint Landing, is at the corner of Dupont and Franklin Streets, across from the Nuhart Plastics site, a designated state Superfund. At the meeting, you can weigh in on issues surrounding the school, and voice your opinion about where it should be built. The Nov. 19 deadline to submit your comments to the Dept. of Environmental Conservation on the proposed cleanup plan (PDF) for the Nuhart Plastics Superfund site is approaching. A two-month public comment period is now open for you to submit feedback on the proposed cleanup of the NuHart Plastics Superfund site, where two large plumes of phthalates and trichloroethylene (amongst a cauldron of other toxins) remain in the soil and groundwater at 280 Franklin Street from vinyl plastics manufatcuring dating back to the mid-20th century. You can access and download the full report (PDF) from the Dept. of Environmental Conservation remediation database. 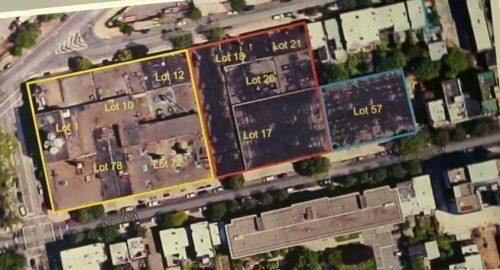 The lots that compose the NuHart Plastics building at Dupont, Franklin and Clay Streets. The operators of NuHart Plastics vacated the site in 2004 leaving behind toxins in 12 leaky underground storage tanks and two aboveground silos. Over the years the gooey liquid phthalates mixed with groundwater and migrated toward the Greenpoint Playground and the adjacent lot where a potential school is planned, conveniently stopping at the playground’s edge on Franklin St. The phthalates plume located at the NuHart Plastics site. FYI: Fellow residents and neighbors, there’s a majorly important community meeting happening this Thursday, October 4th. And, we think you need to know about it. You might even want to attend and take action. 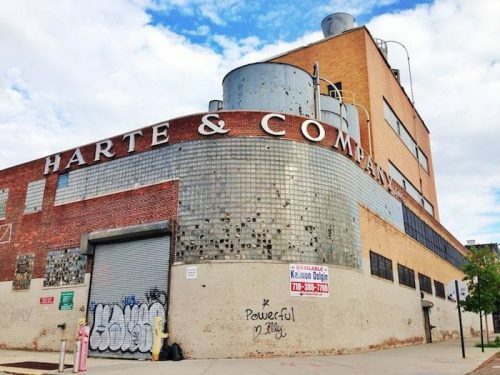 The NYS DEC has finally released its proposed plan to clean up the NuHart toxic waste site in Greenpoint and they’re holding a meeting about said cleanup plan this Thursday. This is mega news. So, what’s the deal?Download the proposed plans here and scroll down to Former NuHart Plastic Manufacturing – 224136 for more info. The cleanup plan for the Superfund site is out for a 60-day public comment period. 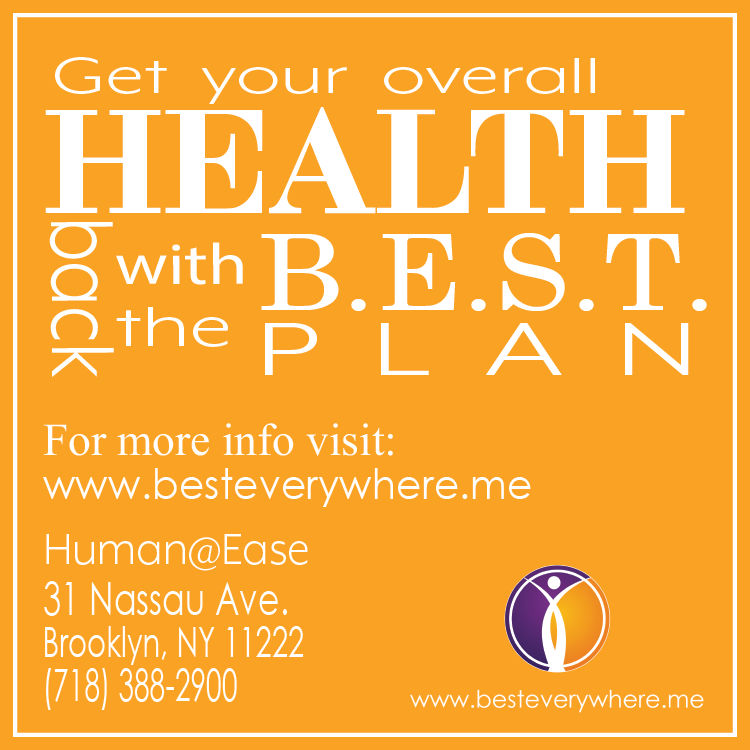 At this meeting, they’ll share the plan and your part is to give some sorely needed community input. Note: This is the only public meeting the DEC is holding for public input. Nothing says toxic development quite like a state-level superfund site. 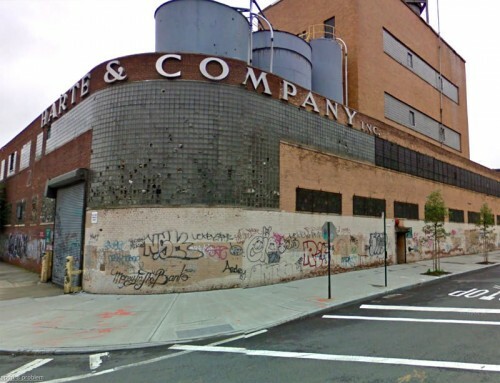 But, Yoel Goldman, of All Year Management, a firm that toped Stabilizing NYC’s list of the city’s worst landlords, is moving forward with a plan to demolish the former Nuhart Plastics factory and build two new six-story apartment buildings at 22 and 26 Clay Street. 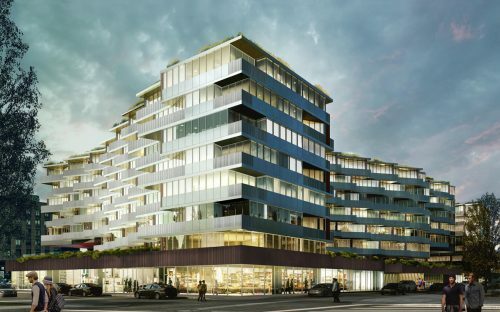 Together, the two buildings will bring 325 new apartments to Greenpoint. Additionally, 6,000 square feet at 22 Clay Street will be set aside for commercial space. This is not the first time that major developers have tried to build on land near the Nuhart site that is considered highly-contaminated. In June, the neighborhood organization Neighbors Allied for Good Growth lodged a petition against Greenpoint Landing’s proposed K-8 school, which is slated to be built across from the factory space. 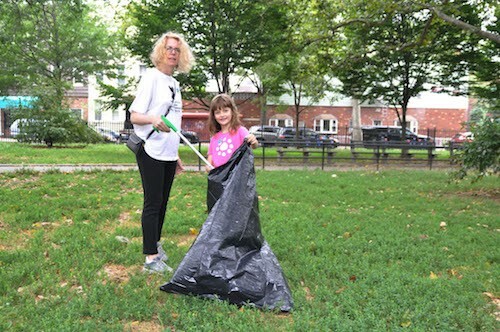 Located in the heart of Greenpoint is a park named for longtime neighborhood advocate Monsignor McGolrick, an Irish pastor who became a major community figure in the late 1800s. 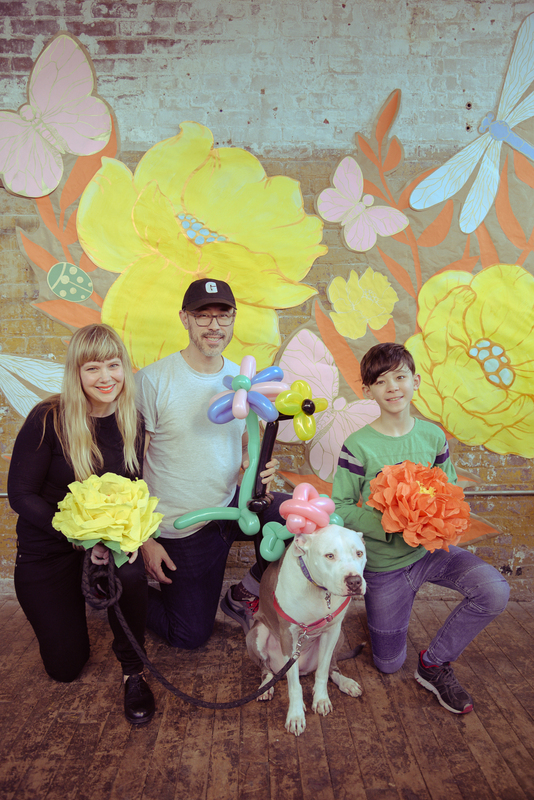 These days, the Greenpoint area has a new community leader. Her name is Konstancja Maleszyńska. 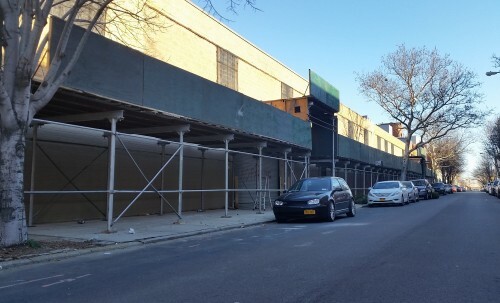 Since scaffolding was erected last week on Dupont Street, complaints to 311 and NYC Council Member Stephen Levin’s Office have been rolling in. Greenpoint’s former NuHart Plastics manufacturing facility is partially a state-managed Superfund Site and is divided into 10 parcels spanning an entire acre on Clay, Dupont and Franklin Streets. Two of the “uncontaminated” lots are scheduled to undergo demolition in the coming weeks.